The Colorado River turns back on itself at the Horseshoe Bend incised meander downstream from Lake Powell (reservoir) near Page, Arizona. 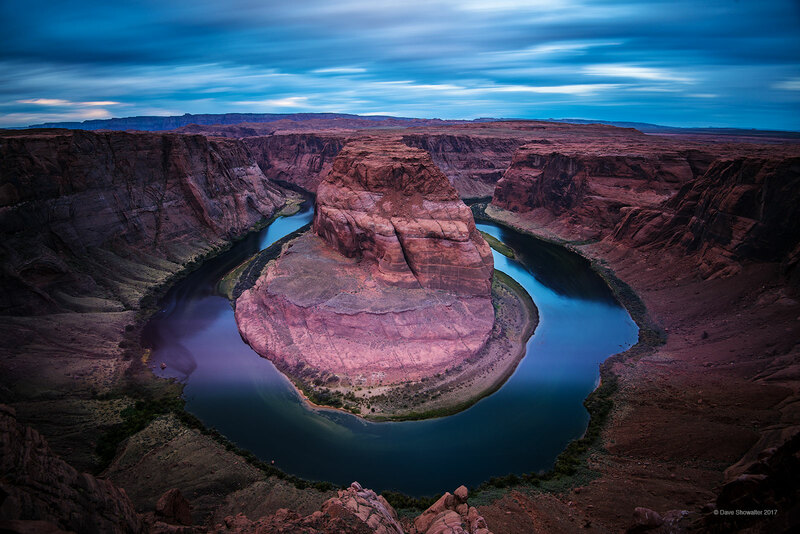 During the Cretaceous Period around 100 million years ago, the Colorado was running over more level ground at sea level when the earth was uplifted, creating this oxbow bend in a deep canyon over geologic time. Equally stunning re the numbers of visitors who flock to this site, where they can view a bend pin the river or geologic wonder, depending on one's perspective. Photo © copyright by Dave Showalter.